You wouldn't be out of line to call Ford's Model A the ultimate antique collector vehicle. Of the 4 million plus units that rolled off the assembly line, thousands of them are enjoyed by collectors today. Restorers and hot rodders alike covet the classic little cars and trucks built between 1928 and 1931. 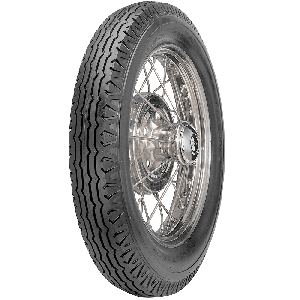 The 19 and 21 " tires used by Model A Fords are available in several brands and tread designs from Coker Tire Company, including the more affordable Universal Model A tire. These tires are offered in both 19 and 21 " sizes with authentic tread designs and blackwall sidewalls. These tires are the most economical Model Tire offered and are excellent fitments for Model A Fords that get driven often.